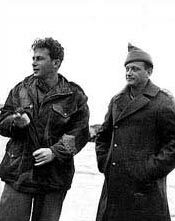 Yitzhak Rabin (March 1, 1922 – November 4, 1995) was an Israeli politician and general. He was born in Jerusalem. He was the fifth Prime Minister of Israel from 1974 until 1977 and again from 1992 until his assassination in 1995 by Yigal Amir, a right-wing activist who had strongly opposed Rabin's signing of the Oslo Accords and to peace with Palestine. He was the first local-born Prime Minister of Israel, the only Israeli Prime Minister to be killed and the second to die in office (following Levi Eshkol). 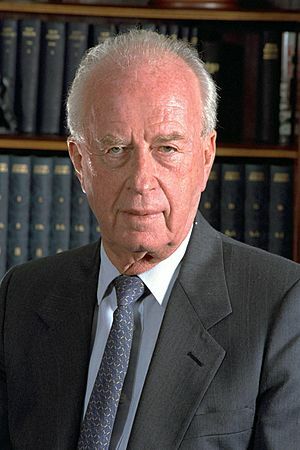 In 1994, Yitzhak Rabin was one of the three recipients of the Nobel Peace Prize. 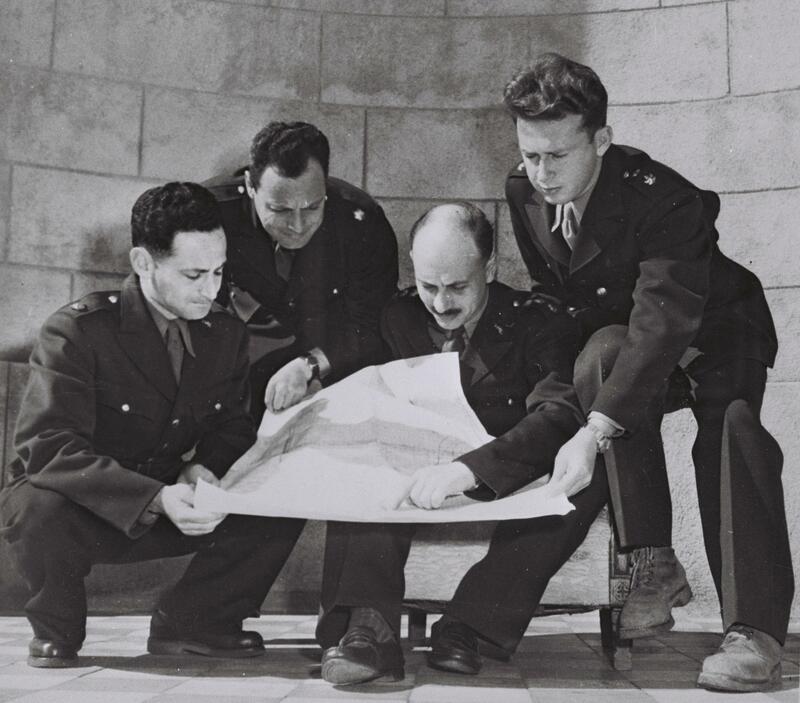 The others were Yasser Arafat and Shimon Peres. All three got the prizes for trying to make peace in the Middle East. He died in Tel Aviv in 1995 after being assassinated. He was buried Helkat Gdolei Ha'uma in Mount Herzl in Jerusalem. Rabin at home with his wife, grandson, daughter, then son-in-law, and two of his granddaughters in 1992. 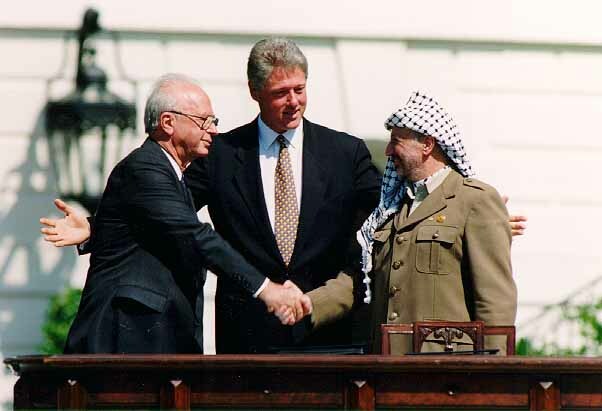 Yitzhak Rabin Shaking hands with Jordan's King Hussein after signing a peace treaty between the two countries in 1994. 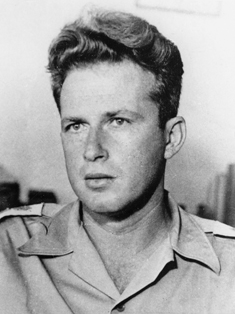 Yitzhak Rabin Facts for Kids. Kiddle Encyclopedia.